Currently people from around the world are taking on their very own Earth Diet Challenge - of eating only foods from the earth for 9 and 21 days. 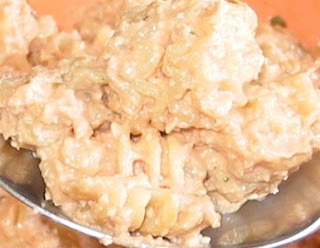 I have received emails from people and one of the most common challenging foods to not eat seems to be cheese. So here is a recipe for cheese; dairy free, sugar free, artificial anything free, chemical free, additive & preservative free, gluten free. 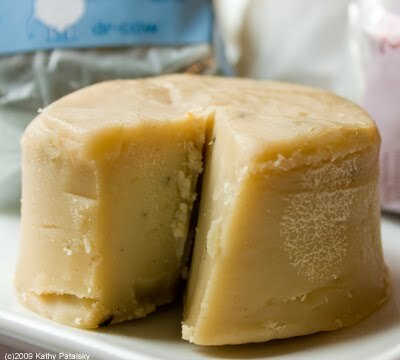 Regular Cheese has ingredients including animal rennet, an enzyme which is extracted from the fourth stomach of calves. Find out more on my blog Day 18. This nut cheese is made from nuts, is also RAW - fresh and healthy! Action: Process all ingredients together adding as little of the water as possible until a fluffy consistency is achieved. Nut Cheese makes a great layer in Raw Lasagana! 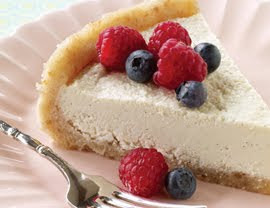 And if you like Cheesecake - there is a website for RAW Cheesecake also on the website. Quotes: Stop thinking and end your suffering. 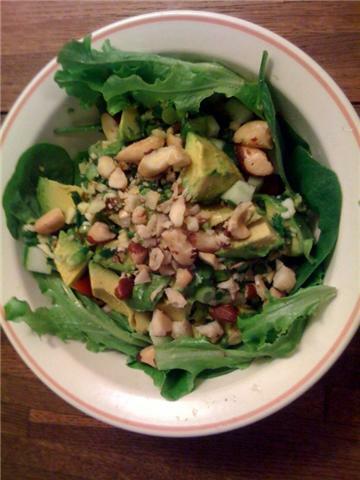 Meal 4: A Green Salad with avocado! mmm! Created with avocado, baby spinach, green lettuce leafs, garlic, spring onion (shallots), coriander (cilantro), green chilli, cucumber and lime. 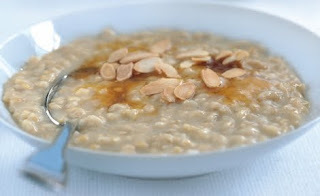 Meal 5: Some oats with agave syrup and almond slices - mmm so yummy and warming on a chilly day. Meal 6: A ginger tea with lemon. Exercise: A run in the morning, stretching and yoga breathing and poses :) I also danced to 2 of my favourite songs! And bike riding - oh and walking in a beautiful park :) A nice active day! This is so inspiring what you've been doing for nearly 365 days. 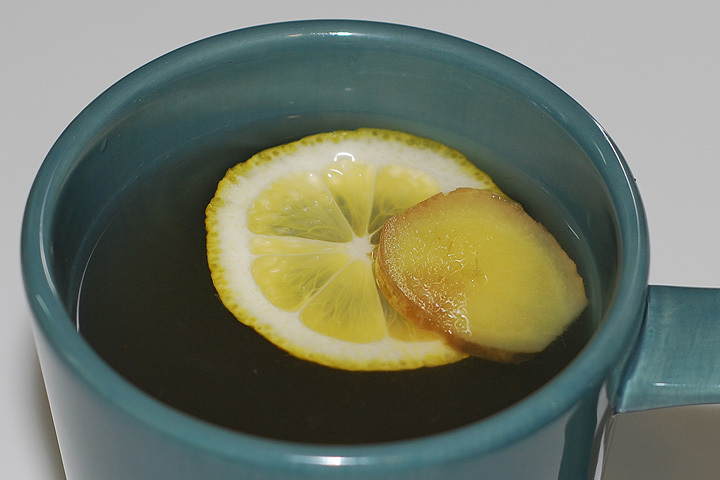 You are showing that day after day there is a natural alternative to the way most people live their life. I love it. Thank you for sharing your experiences with me and the rest of the world.